Marcum & Wallace Memorial Hospital (MWMH) appoints Mr. Rodney Davis as Chairman of the MWMH Board of Trustees. Mr. Davis has been a member of the MWMH Board for three years. He has practiced law since 1995 and opened his law firm, Davis Law, P.S.C. in Irvine nine years ago. He also serves as Irvine City Attorney and was elected as Estill County Attorney in November 2006. Davis is an active member of the community, participating in the Irvine-Ravenna Kiwanis Club and Masonic Lodge. 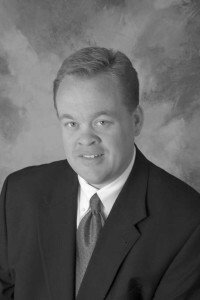 He also has numerous professional affiliations-Kentucky Bar Association, American Bar Association, Kentucky Academy of Trial Attorneys, Association of Trial Lawyers of America, Million Dollar Advocates Forum, Estill County Bar Association, Former Master Commissioner of the Estill and Owsley Circuit Courts, Former Assistant County Attorney-Jackson County, and Part-Time Faculty Member at Eastern Kentucky University-Department of Government. Davis, his wife, Kimberly, and their son, Nathaniel, attend Silver Creek Baptist in Berea, Kentucky. Kim Davis works at St. Joseph Berea Hospital as the Medical Staff Coordinator. MWMH Board of Trustees members assist in fulfilling Marcum & Wallace Memorial Hospital’s commitment to providing compassionate, quality care to Estill and surrounding counties.